He's 100 years old and the size of a toddler! King Louie was a rare catch. Caught in Canada's Bay of Fundy this week, the 23-pound lobster is taller than your average toddler. He may even be a century old, a determination based on a rough calculation of his weight and molting pattern. 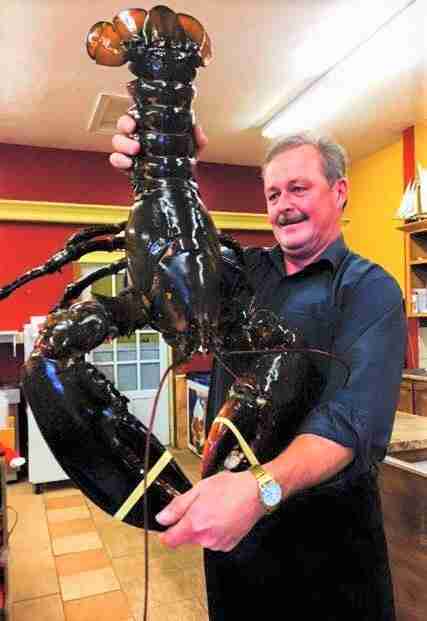 But Louie's options - once a New Brunswick lobster shop bought him from a local fisherman - were slim. 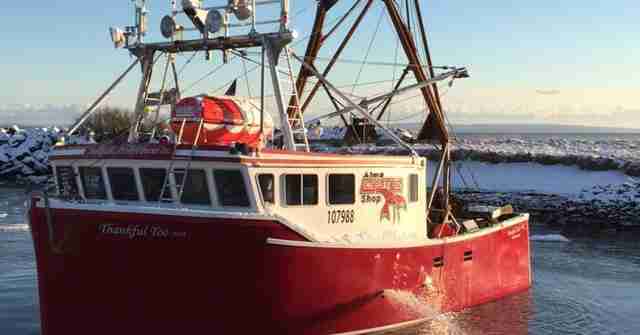 "A lot of people wanted to buy it and mount it," Catherine MacDonald, co-owner of the Alma Lobster Shop, tells The Dodo. Others wanted to use Louie as a promotional prop for their business. "And then we had a lot of people asking us if we would release it," MacDonald notes. "We could have done anything." There was always the dinner option - a fate that MacDonald says would have made for a savory feast, 100-year-old meat and all. 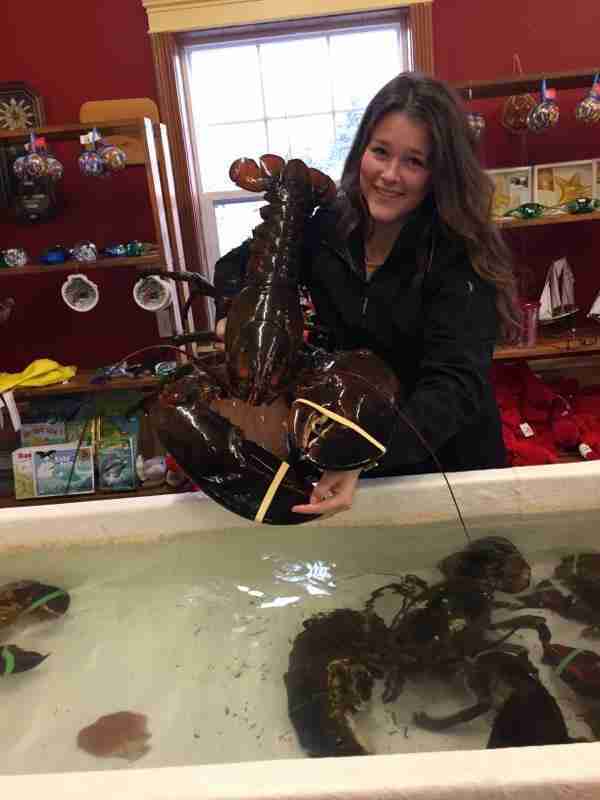 But there was something about an offer from a local animal lover named Katie Conklin that seemed just about the right outcome for a lobster who had already lived such a storied life. Conklin asked if she could buy Louie, hoping to send him right back into the Bay of Fundy where he was found. 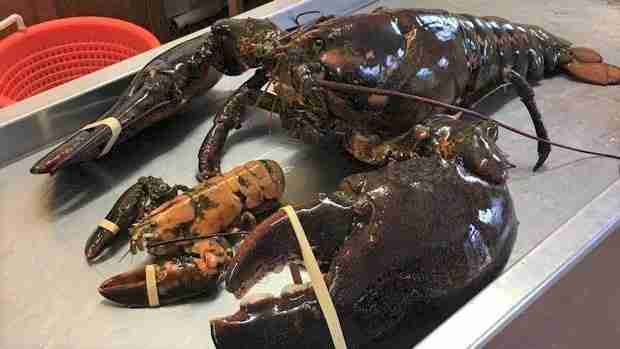 Of course, it wouldn't be the first time someone tried to spring a lobster from a fish market. 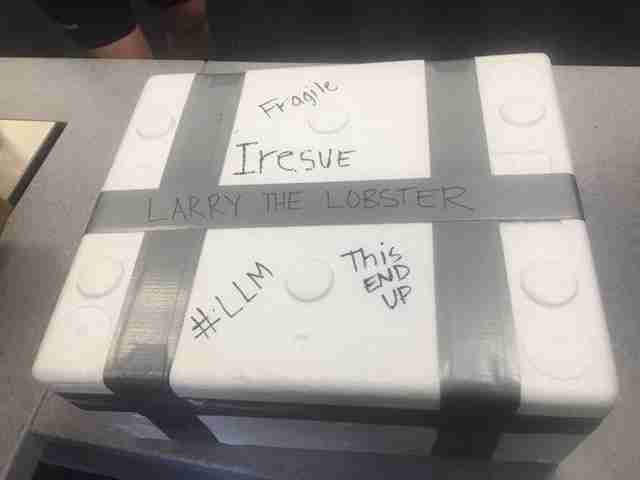 In May, a woman from Red Lake, Canada, bought a more average-sized lobster from a deli counter and had him shipped to the east coast for an ocean release. And in July, a Florida chef agreed to spare the life of a 15-pound lobster. That same month, Buddhist monks bought around 600 pounds in lobster and returned them to the waters off Canada's east coast. MacDonald ended up selling Louie to Conklin for $230 - a fair market price for a lobster that size. 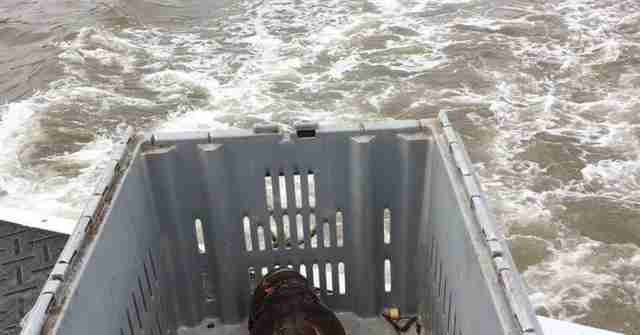 And so, Louie's freedom was purchased and, on Tuesday, he was returned to the waters where he had been found. With an adventure, no doubt, to tell his great-great grandchildren.